1. Make the sound of who you are – Each student makes the sound of who they think they are. 2. Make the sound of your day – Each student makes the sound of, or sings the ups and downs of their day. 3. Make the sound of a perfect day – Each student makes the sound of what a perfect day would be like. This class is about the core concept of Resonance that is the basis of all Sound Healing. We discuss the different types of resonances based on the laws of physics: Acoustic Resonance in spaces (Rooms, temples, the mouth and throat, chest cavity, head, organs, and instruments), Mechanical Resonance in materials (Wood, metal, bones, muscles, tendons, skin, blood, crystal bowls), and Etheric Resonance (Chakras, Auras and Etheric Bodies, Root/Soul Frequencies, Love, Appreciation, Joy, Divine Love, and Spirit). We explain and practice a technique for finding any resonant frequency. 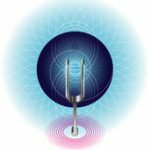 Once you learn the basic law of resonance you can use this information to become a Resonant transmitter where you are not at the mercy of resonances around you. The goal of this class is to become aware of all the parts of the body (from cells to organs to morphogenetic fields) and how sound affects each part – including the resonant frequency of each part. Using a medically perfect 3D visual program, we explore each of the systems, including the organs, skeletal system, nervous system, digestive system, etc. We cover all of the lists and charts of the frequencies used for specific cells, organs, and parts of the body and do meditations on them. We also explore how to find these frequencies intuitively. We then explore the frequencies of the Endocrine system and the relationship of each endocrine gland to the chakras. Finally, we look at some of the new frequency technologies such as the QXCI, Nutri-Energetics, Zyto, and Asyra, which do frequency scans of the body giving you a medical readout. You will then get an frequency assessment with the Nutri-Energetics System. Steven takes you through some of the history of sound healing, discusses the concept of entrainment, and shares some of his music. We take a look at the healing power of nature sounds. Sounds in the city tend to close our ears down. Nature sounds open us up (ears and heart). We listen to full range of nature sounds (including crickets, thunder and birds) slowed down to hear the hidden detail of what the sound is really doing to us. A whole other world unfolds when we slow some nature sounds down. We use the program “Raven” from Cornell University to slow down the sounds and to see a beautiful visual of the harmonic structure of the nature sound. We talk about the way dolphins and whales communicate. We end with a meditation on the healing power of nature sounds. We all perform a sound healing treatment on one person using all the instruments from the Sound Healing store. The person states what they would like to focus on. Everybody gets a turn. This is a good way to see all the different things that you can do in a sound healing session, and you get to experience some powerful healing sounds for yourself. A binaural Beat is the third frequency that occurs when you have two frequencies that are detuned just a little bit from each other. If this third frequency (which is below the normal range of hearing) falls within the range of any of the brainwave states it will automatically entrain your brain into that brainwave state (Beta, Alpha, Theta, Delta). The science behind this is now quite well researched. If you also wear headphones the binaural beat will synchronize your left and right brain. Binaural beats can be used to entrain your brain into a specific EEG brain map – such as a high state of meditation. And, they can be used to take you out of your body, so specific care must always be taken. We discuss how different rhythms also entrain the brain, and how the Schumann resonance (7.83 hertz), which is always present in our atmosphere also entrains every brain on the planet. We then create a sound project based on a student’s root/soul frequency where the binaural beats are tuned to the particular person’s frequency. We also show how to create binaural beats that are in tune with the key of a song, as well as having the tempo of the song match the key of the song! We then create a holographic sound project where a person’s root frequency determines every component of the song: The key, the tempo, the breath in the music, and the binaural beats. We discuss the all the different systems in various cultures that have assigned specific notes to each chakra. The rest of class is about finding the frequency and pitch of each chakra for yourself. First, we watch an amazing video on chakras, “The Illuminated Chakras.” to get in touch with the meaning of each chakra. We will then hook each student up to a tone generator and have you find the exact frequency of your own chakas (including your root frequency). Then, we have you do a second exercise to tune into the pitch of each chakra for yourself. Finally, we do a very powerful Chakra Meditation where we have you tune into all 7 chakras at the same time. The point of this class is to not only have you start tuning into chakras as frequency, but also to give you another reference point in your body for learning the full range of frequencies (20 – 20,000 hertz). We explore the full range of sounds that the voice can make and the effects they have on a person physically, mentally, emotionally and spiritually. You will then learn a detailed procedure for using your voice to perform a healing session on another. You will learn how to prepare and center yourself for the session. You will also learn how to use the sound of your voice to do an assessment on the person, then connect to Spirit or Source and let the sounds come through you that the person needs. You will also learn and practice how to be aware of boundaries around the body so as not to take on the person’s energy and so not to invade their personal space internally. Each student pairs up with another student performs a treatment on the other student. The goal of the class (in alignment with all the classes) is to see all of our emotions as frequency (sound or music). When we see our emotions as frequency, it allows us to see and feel them as they are, and then gives us a simple sound method for releasing or shifting the emotion. First, we explore the “sound” of the so-called negative emotions vs. the sound of positive emotions (which have a more consistent tone). The most difficult emotion of all is that of resistance to feeling emotions. However, on the other end of the evolutionary scale we ultimately want to get off the roller coaster of emotions. Not that we don’t still feel them, but “we are not them.” One technique is to make our primary focus be that of our own root frequency instead of the emotion – bringing us back to our own center. 1. Making the sound of the emotion to release it. 2. Making the sound that our body wants to make. 3. Making a sound that transforms the emotion into a positive emotion. 4. Making a sound of a higher emotion to shift our energy. Ultimately, the goal is to use our mind to stop the emotions from getting stuck in the first place. We will discuss these techniques. We end this part of the class with a meditation on the sound of Joy! In this class we find each person’s Root/Soul frequency in multiple ways. We go into the Sound Therapy room and we have each person lay on the Sound Table while we play each of the 12 notes in the octave through the sound table. First, we do muscle testing on the person to see which frequency is strengthening them the most. Then we have them close their eyes and tune in to what note is the most grounding. And finally, we have the entire class tune in and focus on the person’s energy and breathing while they are listening to each of the 12 notes to see which note seems to be the most relaxing and grounding for them. Generally, the class normally comes to a clear consensus. This not shows how we all have a central signature frequency that resonates through our whole being, but it teaches you how to find it in yourself and in others. We then will have a student look at an image of one of their organs in 3D and we do the same muscle testing while playing each of the 12 notes. This technique has been proven to help find the note that strengthens that particular organ. Finally, we hook up the heart monitor and Galvanic Skin Response unit to examine different how rhythms, tempos, music and songs affect our heart rate and tension/relaxation in the body. Galvanic Skin Response measures the amount of tension in the body by measuring the amount of sweat on your fingers. The basic concept of voice analysis is that every single thing going on in your system affects your muscles (basic kinesiology), and since your vocal chords are controlled by muscles, everything going on your system is projected through your voice. In fact, your entire template of perfection that you were born with, and all the distortions you have created in your life – are also transmitted through your voice whenever you open your mouth. This class explores all of the different methods of using Voice Analysis to assess the state of a person physically, emotionally, mentally and spiritually. We take a look at Sharry Edwards’ system, the Biosonics system from Spain, Don Estes’ Harmonic Resolution Therapy, Sound Energy, Biowaves, Zyto, and the VoiceBio. We then use the VoiceBio system to do an assessment for each student. The creator of the VoiceBio system did years of research in hospitals doing VoiceBios on patients with a wide range of diseases and issues. She also ties weaknesses of frequencies to weaknesses in specific organs. We also play with different essences while using the VoiceBio system to see what essences are boosting what frequencies in your system. The system can ultimately be used to see how the frequencies of colors, foods and other stimulus in your environment are affecting your own frequency spectrum. In this class, using information gathered from all of your classes, you design treatments for David that include a sound project and a whole array of other frequency based treatments – as if you have a whole staff of vibrational healers at your disposal. First, whether the project is to be live or recorded, you learn about different sound healing project forms. We then go through the protocol for doing an intake with a client. The class then asks David the full range of questions to see what is going on with him, including information on sound and music preferences that will be helpful in designing the sound and music project. Each person in the class then creates a sound project mapping out what instruments and techniques are used at each moment through the song or treatment. Each person then shares what they came up with so everyone learns a full range of approaches and possibilities of how to deal with a particular issue (Dave’s in this case). Each person also comes up with an array of sound and vibrational treatments that they would prescribe for the client. These may not only include sound treatments, but body work, energy healing, or any other healing modality a student may be aware of, or be creative enough to come up with! It is always interesting to see what each student comes up with. This assignment helps you learn how to design a wide range of sound treatments for someone, and ultimately gives you an idea of what it would be like run a Healing Center, and do intake for clients. We also discuss how to do such treatments over the phone, or through distance healing (simply transmitting energy to someone over long distances). Each student pairs up with another student. After doing intake, and designing the sound treatment, each student actually performs the treatment on the other student. This is one of the most profound and useful classes of the entire semester. We do exercises on how to use resonance to hold a state of peace and calm even you’re your world is shaking. We will use toning, the sound of gratitude, compassion and the sound of Universal Love to meet challenges and conflicts with health, wealth, relationships, world changes or simply noise around you (particularly hypersensitivity to noise and loud sounds). We will demonstrate and practice multiple techniques for holding frequency no matter what. Each student turns in and presents their final paper on a vibrational topic of their choice – anything remotely related to sound and vibrational healing. This is your opportunity to research something that we have not covered in class. The whole class gets to learn about other modalities that I may not have thought about or even know about. The paper is to be at least two pages long, and the live presentation could even include experiences or meditations. We review all of the test questions (which are already in the Reader handed out on the first day of class), and we get feedback on how to make the classes better. 1. You design a sound healing musical project as you did for David and for others in the class – for your self. You know best what you need! Ultimately this makes you aware of what sounds you really like and how they can used to heal yourself, bring you back to center and raise your own consciousness. 2. Create a sound practice for yourself. You create two arrays of practices for yourself. The first is a practice that you will absolutely do every day or every week. This may include things like toning every morning, doing a sound chakra treatment on yourself, getting on the sound table every day, practicing overtone singing while driving to and from work, etc. The second array of practices is one that you would ideally like to do every day or week. Each student then presents their Sound Healing Project, and two Practices to the class. We take the final exam and do a closing ceremony honoring each other with gratitude and appreciation. Sound Healing Instruments – Crystal Bowls, Tibetan Bowls, Tuning Forks, etc. Most people don’t realize that just about every sound has multiple frequencies that are also present. Even though we might hear an “A” there might be as many as 30 other pitches also present in the one note. And these other pitches carry detailed information about your being (which can be accessed through voice analysis). We go through all the aspects of harmonics that determine why one sound sounds different from another sound. We discuss the difference between activating Odd harmonics and calming Even harmonics, and what instrument sounds and vowels are more odd or even. We look and listen to Pure sounds (like the tuning fork) versus Rich sounds (Violin, Piano), and which are better for what situations. We also discuss how the volume and phase of harmonics affect a sound. We then look at how the mathematical structure of harmonics correlate to the mathematical structure of the Universe: The distance between the planets in our Solar System, the weight of each vertebrae in our Spine, the distance of electron shells around the atom, the frequencies of our auras or etheric bodies, and the levels of energy/matter at the Quantum level. With this information we discuss how the harmonic spectrum in your voice resonates throughout the universe and other people and the responsibility that brings. Many people in the field of sound healing are adamant about using sounds and music that are based on ancient tuning systems because these are based on nature and resonate through the whole universe, including our spines. A tuning system is about which frequency each of the notes within a 12-note octave tuned to. Before the 1700’s most cultures created tuning systems based on the harmonic structure of sound. Then in the 1700’s Bach introduced the Equal Tempered tuning system, which is not based on nature at all – and we’ve been screwed up every since. We discuss how to create a tuning system and look the ancient Just Intonation and Pythagorean Tuning systems. We then discuss and listen to the full range of frequencies (20 – 20,000 hertz), in order to learn the frequencies by name. We all know color by name, but not frequencies. We focus on specific archetypal frequencies for healing as reference points to get to know the whole range. We also find the particular frequency that your speech is centered. Vibrations manifest as Pure Frequencies, Harmonics (combinations of Pure Frequencies), Music Intervals (combinations of Pure Frequencies and/or Harmonics), Music (including Rhythm and Flow), and Energy (Intention and Consciousness). The different types of crystal bowls, Tibetan bowls, and tuning forks and their uses. How to perform a sound bath. Tuning forks variations (weighted and unweighted, and different frequency systems) and a detailed process for using forks on and around the body. Each student pairs up with another student and performs a treatment on the other student. The course helps students to learn all the necessary skills to successfully run a Sound Healing practice. It covers over 100 detailed techniques on how to get your business up and running with very little money, how to attract clients and how to retain them. We also explain how to add Sound Healing to expand an existing practice. Susanne has written a successful book on how to market alternative healing practices. She covers how to find clients, how to synchronize with other alternative therapy companies to get referrals, how to find a place to do your work, and how to setup your website — all with little or no money. She also focuses on your marketing message which is focused on people’s needs instead of the modality itself. She helps you to pin down and refine your specific area of expertise. The use of sound as a personal tool for your own creative development. An exploration of your sound landscape and consciousness. Techniques to access a deeper awareness of your own inner sound world. Students express themselves sonically by exploring the relationship of sound to thought forms, feelings, and emotions. How to use your voice to heal and raise consciousness – your own and others. A powerful experiential workshop that will bring you into the heart of sound. sound healing for our mental, emotional and physical health. Some of the topics that will be addressed are: chakra system, deep energy work, glands and emotional work. This course will provide an experiential and conceptual introduction to rhythm and its role in healing. You will experience and learn about the basic building blocks of rhythm and sound, and gain an appreciation for their effects upon human perception and health. In this course, you will learn why rhythm and sound facilitate healing, as well as some practical applications of how to integrate them into your healing work. A truly transformative workshop designed to open your heart. You will learn sound techniques for connecting with people from a heart center, creating more intimacy in relationships, and connecting to spiritual love. In this unique 2 day workshop you will use sound to open up and access deeper levels of connecting through love. This workshop will open your heart to others and spirit (love from above or within). When you reside in your heart with one another a resonant field is setup that not only transforms your every communication, but also adds to a planetary resonant field that affects the entire planet. This class covers the fundamentals of music theory with an emphasis on how each aspect affects human beings on all levels. The course uses creative techniques to help students acquire a deeper understanding of the nuances of intervals and musical composition. The course uses the harmonic structure as the basis for the exploration of the underlying meaning of musical intervals. With a basic grounding in the terminology and mechanics of music we will explore how to apply emerging knowledge and ideas in Psychoacoustics to actual pieces of music and live healing sessions. This course will provide some fundamentals of concepts in music, the association of these concepts to developing healing music and a safe place to explore the various modalities of psychoacoustics through active listening and creative projects. Additionally, this course will emphasize the development of the student’s abilities of discernment around the inner experience of sound. This ability is key to understanding the nature of the effects of different modalities of healing and styles of music. It also provides the foundation for a truly meaningful exchange between the healer and the client- the very basis for that conversation is an ability to understand how these tools affect us- how sound and music affect our consciousness and our bodies. When used with intention, our own voice can be a miraculous healing tool. It is a primordial pathway into our body and soul. In this workshop we will explore how sound vibrates our inner body. With toning techniques, we will experience where sound resonates and how to use that vibration to massage from the inside out, clearing the chakras, relaxing the body and releasing old outdated imprinting. We will learn chants from several ethnic traditions and feel the commonality and differences of rhythm and pulse. Through Vocal Meditation we will discover how to create our own sacred chant. This class helps to cleanse the physical and energetic bodies using healing tones & movement vibration in order to bring increased light into the physical and energetic bodies, thereby causing healing and transformation. KiVo offers the sound healer a new palette by adding the dancing body and opens the way for spirit healing in the Shamanic tradition. An exploration of the connections between sound and healing from an esoteric perspective with an eye toward the current scientific research being conducted in this field. The understanding of the interconnectedness of the multidimensional levels of sound, vibration, music and consciousness. – How does music convey emotions? Music of the Golden Mean – Music of the Phi Ratio Universe. – Relationships of Sound and Color. Sounds of our solar system. – Survey of Ancient Musical Scales. Understanding acoustical foundations of harmony. – Chakra systems and applied tuning forks. – Chakra systems and applied tuning forks continued. – World music rhythms and archetypes. – The relationship of sacred geometry to musical intervals. – The world’s most common pentatonic scales. – Special frequencies found in Nature. – Sacred numbers from ancient manuscripts and their musical valves. – Selected books and articles, periodicals for further research. – Converting color and light to sound and vise versa. – The Foundation math of Sacred Geometry, sq. roots of 2,3,5, pi, phi. – Geometry of Famous sacred sites (Parthenon and temples, Pyramids, Chartres Cathedral. – Using Geometric forms in Healing Arts. – The Power of Limits (book by Gyorgy Doczi-) proportional Harmonies in Nature, Art and Architecture. 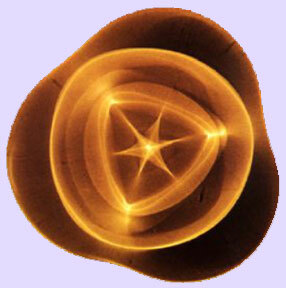 – Matrix of Creation book by Richard Heats (Sacred Geometry in the Realm of the Planets).